A passion project of Dan Brazil, Climb 50×50 is a journey to climb fifty inspiring ascent by the time he is fifty. Dan wanted a website to help capture his quest and share trip reports, photographs and words of wisdom from his climbs. 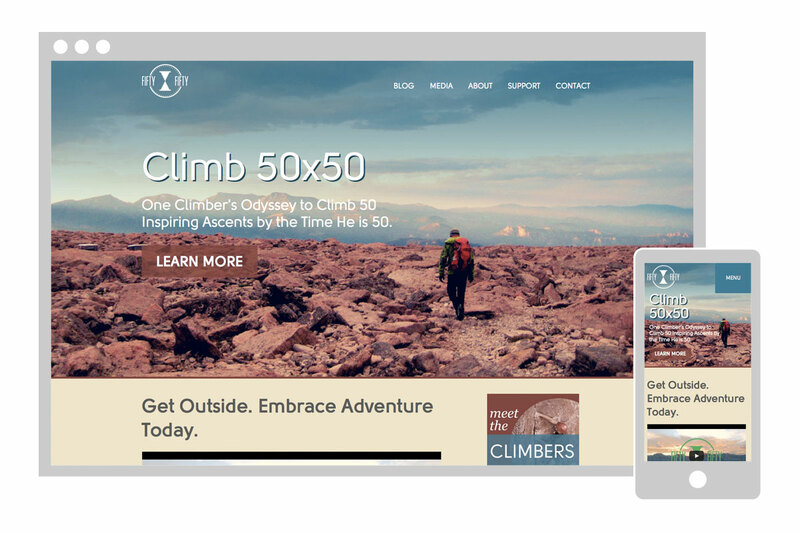 For the site, I utilized full-width feature images and a dynamic image gallery to help the visitors visually experience his treks. The trip reports that Dan was writing to convey his climbs were more lengthy than typical blog entries. I decided that these would get special “cover story” style treatment, with large feature images, bold title typography, and block quotes and inline imagery to help break up and highlight key points within the text.